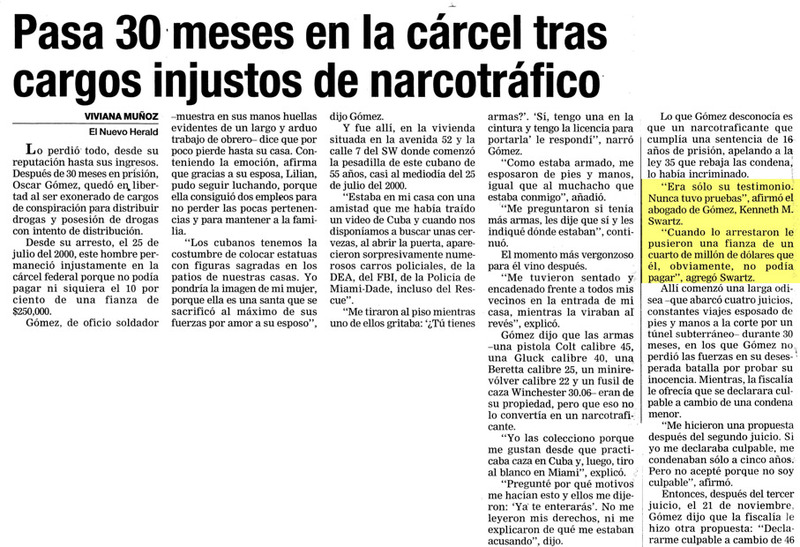 In U.S. v Martinez the Defendant appealed her federal criminal conviction under 18 U.S.C. § 875(c) for knowingly transmitting a threatening communication. The threat came when a talk show host at a Ft. Lauderdale radio station received an anonymous email that expressing support for the second amendment gun rights, and the anonymous sender said he was planning something big around a government building, a post office “maybe even a school, I’m going to walk in and teach all the government hacks working there what the 2nd amendment is all about..” Several hours later an anonymous woman called the station telling them that her husband sent the email, that he was mentally ill, and that he was now planning to open fire at a nearby school. The anonymous woman implored the station to broadcast a plea asking her husband not to carry out the shooting. The phone call resulted in a lockdown of all Broward County schools. After investigators discovered the anonymous calls were sent by the defendant, she was indicted for making a threat in violation of § 875(c). She pleaded guilty reserving the right to appeal her challenges to the statute. Martinez claimed the indictment was insufficient because it did not allege Martinez subjectively convey a threat to injure others. She argued that the Supreme Court’s decision in Virginia v. Black drew the distinction between true threats and First Amendment protected speech based upon the speaker’s subjective intent, and therefore a conviction required proof the defendant subjectively intended to make a threat. In Black, the Supreme Court addressed a state statute making it a crime to burn a cross with the intent of intimidating any person or group. Martinez argued that Black imported a subjective-intent analysis into the true threats doctrine. In rejecting Martinez’ argument the Eleventh Circuit found that prior to Virginia v. Black, the Supreme Court did not require a subjective analysis for true threats, rather the threats are evaluated on a the objective characteristics of the speech and the context in which it was made. Most federal courts defined true threats according to an objective standard. The Eleventh Circuit found that the Supreme Court’s decision in Virginia v. Black was based on the overbreadth of a specific statute and not whether all threats are determined by a subjective or objective analysis. The Eleventh Circuit concluded that to be convicted under § 875, Martinez need not subjectively intent to her statement to be a threat. Martinez also argued that § 875(c) was unconstitutionally overbroad because it did not require the Government to prove the speaker subjectively intended her statements to constitute a threat. The Eleventh Circuit found no merit in this challenge. The actus reus of the statute is transmitting a true threat and a true threat is determined from the position of an objective, reasonable person. Section 875(c) is silent as to mens rea and does not require and showing of specific intent. The statute is a general intent offense that requires the government to show the defendant 1) transmitted a communication knowingly, and 2) that the communication would be construed by a reasonable person as a serious expression of an intent to inflict harm. It does not require the Government to prove a defendant specifically intended his or her statements to be threatening.